The questions were prepared by the investigation team to interrogate Mitra as it found some fresh leads in the course of Saradha probe. 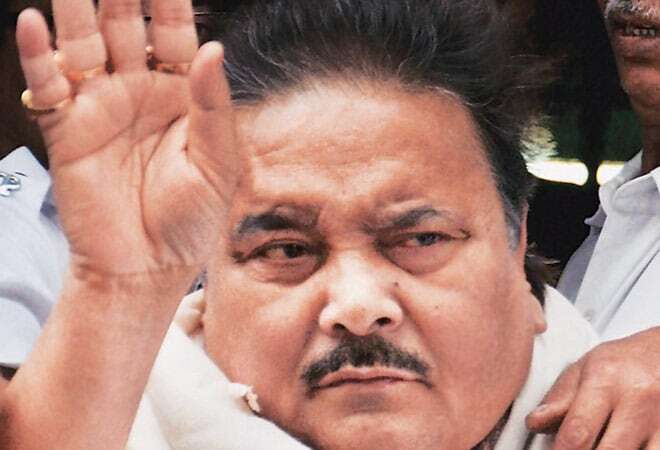 The Central Bureau of Investigation (CBI) on Thursday interrogated jailed West Bengal sports and transport minister Madan Mitra in connection with the multi-crore Saradha Group chit fund scam. The CBI team quizzed Mitra at the state-run SSKM Hospital's Woodburn ward where the minister is admitted for more than past six months. It was learnt the CBI team came with a 25-point questionnaire to grill the ailing minister. The questions were prepared by the investigation team to interrogate Mitra as it found some fresh leads in the course of Saradha probe. Meanwhile, the medical board of the SSKM Hospital said that Mitra is fine and can face CBI interrogation. According to sources, the CBI team interrogated the minister at the medical ward in the presence of Mitra's legal counsel. They were partly satisfied with the interrogation. The CBI team could not ask all the questions to Mitra on a single day owing to the minister's fragile health. The sleuths will carry out their interrogation on Friday too to complete all the 25 points. The minister was denied bail by the Calcutta High Court division bench, comprising Justice Nishita Matre and Justice Asha Arora, in the first week of August. The division bench had rejected the bail petition, moved by Former union minister and senior lawyer Kapil Sibal, on the grounds that it might hamper the process of ongoing Supreme Court -monitored CBI probe in connection with the ponzi scam. Mitra has been occupying a special cabin at the state-run SSKM Hospital' Woodburn ward for past six months which, according to law practitioners, has impacted the courts order of not issuing bail to him. Mitra was arrested in December last year by the CBI.